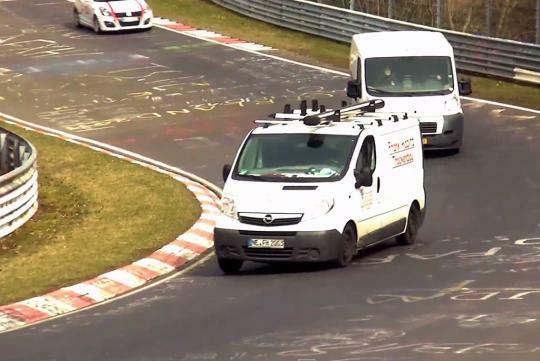 On open track days at the famed Nurburgring Nordschleife, almost anything that is road legal can do a lap of it. So what's the weirdest vehicle seen there? Watch the video below and see people go around the track in coaches, vans and other slow vehicles. I wonder why do people even bother to bring a coach to a track day. I mean, is it even fun to track a bus? My opinion is that if one only likes sleek/exotic/ performance cars, then one is not a real car lover/driver. If one truly enjoys driving, then anything on 4 wheels that can move much faster than one can run is still fun to drive as long as there are no restrictions. Driving any vehicle on the limits is always fun. I would rather drive those Vans in the pictures on a track without restriction than a Ferrari in Singapore traffic. I would like to try driving a vito on track.